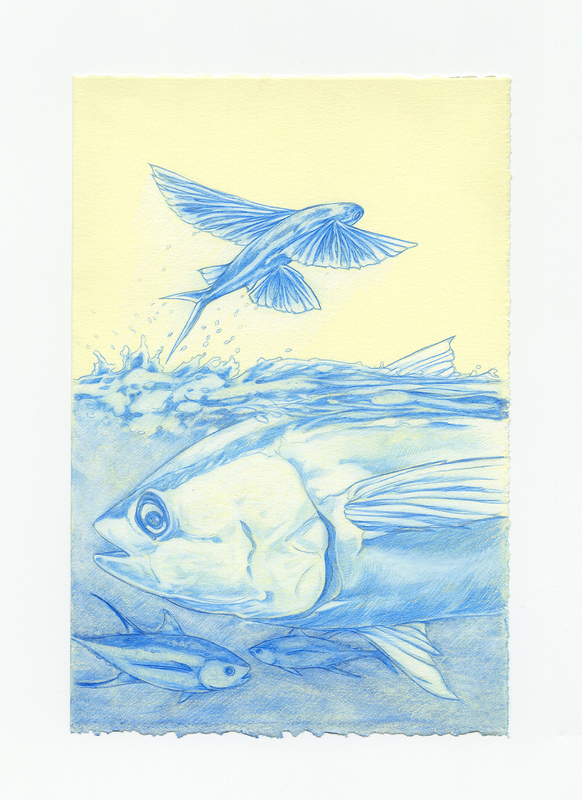 The Escape, 2018. color pencil on Stonehenge warm white. 9in x 6in. 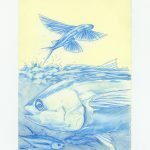 Recent Drawing, “The Escape,” will be exhibited at The Red Garage Studio gallery in Minneapolis, Minnesota. 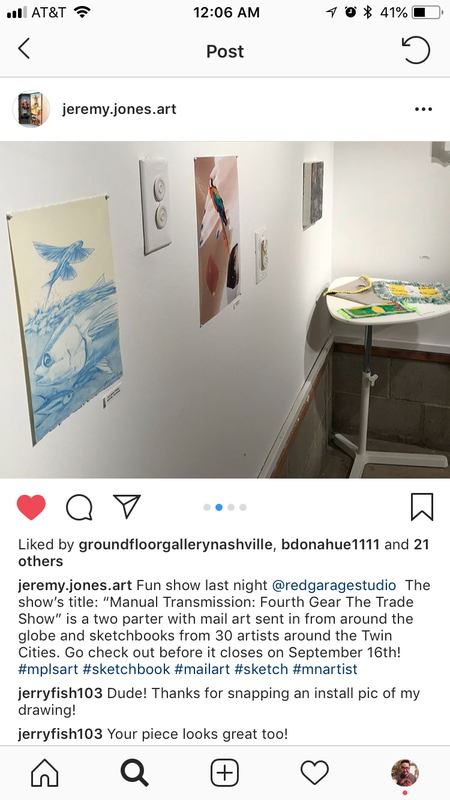 I am excited to see what the rest of the show work looks like when the online documentation for the show goes live soon! 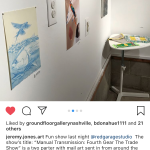 This is an open call for submissions of all forms of mail art for Red Garage Studio’s First Annual Mail Art “Trade Show,” a mail art exhibition and exchange. Any analog media, any format. Postcards, artist stamps, ATC’s, decorated envelopes, pop-ups, collages, whatever you can get here through USPS. Everything received that relates to the stated theme and accords to the guidelines outlined below will be exhibited. Go wild! 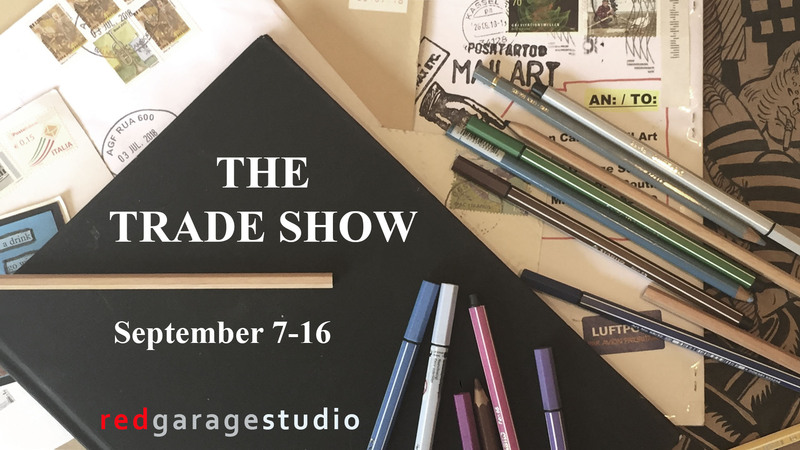 The in-person exhibition will run September 7-16, with online documentation available for viewing through the Red Garage Studio website and/or Facebook page from late September through the end of the year. Anyone can submit work. No fees, no jury, and no returns. However, if you include $3 to cover mailing costs, another artist’s submission (chosen at random) will be sent to you at the end of the show! Participating in the exchange aspect of this call is not required, but a fun way to trade and receive original artworks! ← Literary Innovation: A National Juried Exhibition Oct. 5 – Nov. 8, 2018.